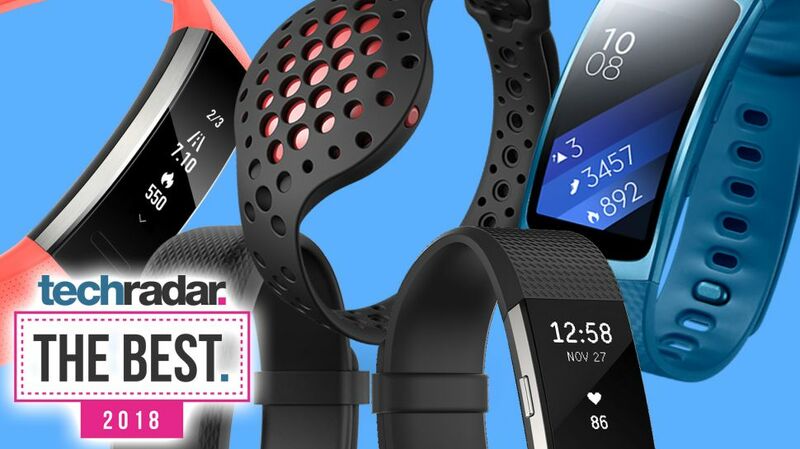 Crunchwear.com describes the TomTom Touch Cardio as a “sleek new design and optical heart-rate monitoring”. Sadly it’s not a TomTom Go – it’s a TomTom – NO!! That slight aside, I have had the chance to read the Crunchwear review and the TomTom website product information – and there are a couple of issues I’d like to bring your attention to. First off the review on Feb 8th ends up with a message saying that it will available in March at £89.99 – the company’s website says £129.99! 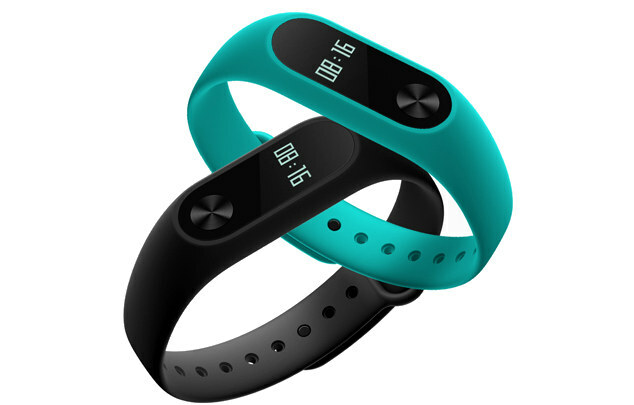 Wow that’s a big difference for a product which, “body composition” apart, is inferior to the Xiaomi Mi Band2 which only costs around £35. And, secondly, not only is it a fraction of the price it’s also waterproof. Why oh why did TomTom not make this premium priced device waterproof? As their website says “Do not immerse in water (swimming, surfing, bathing)” – while, at the same time, exhorting me to wear it all day! Doh! These lapses worry me. 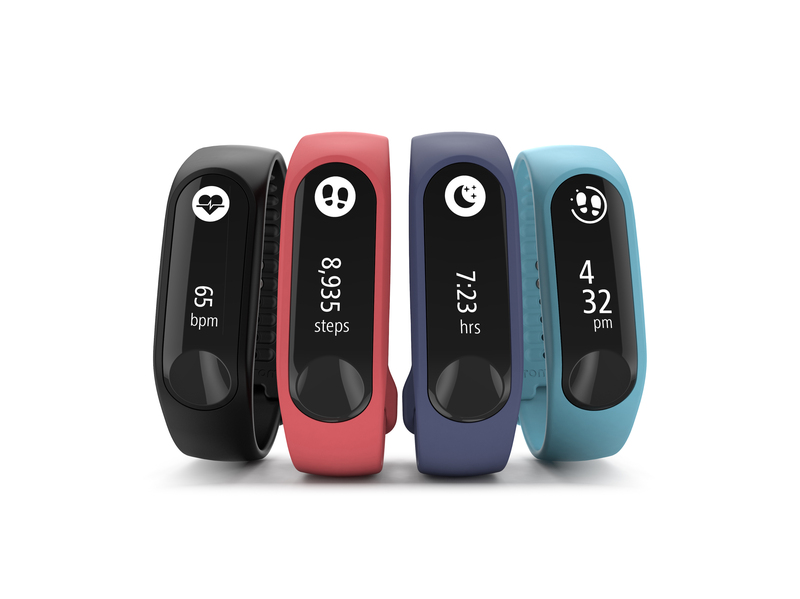 I’d expect a company such as TomTom to have got their collective s**t together – this isn’t the first wearable device they’ve launched. There have been enough generations of wearables for companies to realise what the customer actually wants (don’t even get me started on the “notifications” that it delivers – yawn!! So friends, despite the device being made to TomTom’s usual high technical standards and build quality (like I said I’m inferring this as they didn’t send me a review copy – harrumph) I can’t recommend you buy this – #WTRSAYSNO! Luis Suarez had not “fully appreciated the gravity and seriousness of this truly exceptional incident” say the Football Association’s Independent Regulatory Commission when describing why the player received a 10-game ban for biting Branislav Ivanovic. The three-man panel added that the severity of the punishment was in order to send out “a strong message that such deplorable behaviours do not have a place in football”. They also said the FA had a “duty to discourage any players at any level from acting in such a deplorable manner”. @FA claim that they didn’t look at Suarez’s previous record in issuing the 10 game ban. So why so harsh? 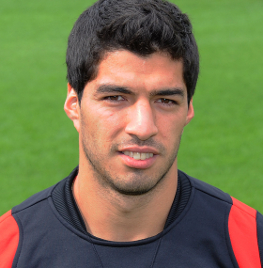 @mrdananwalker of the BBC says – So #Suarez panel didn’t consider previous offences but still banned him for 10 games. Doesn’t reflect well on FA process or #LFC defence. According to the FA – The FA claimed Suarez bit Ivanovic to a) hurt him, b) try and get him to retaliate and so get sent off – really? 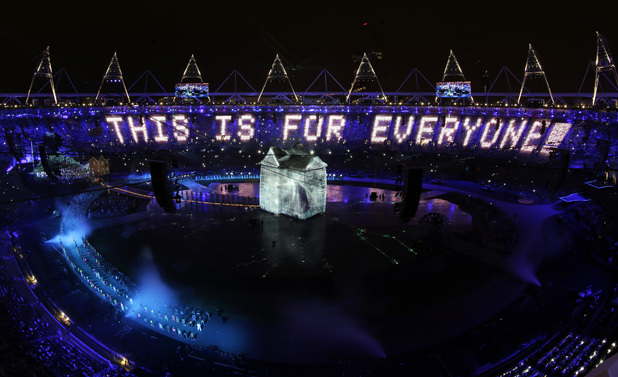 Wow clarity of thought and direction – just what we have come to expect fom the FA – NOT!!! He’s a flawed genius – or a nutter – or just a fantastic football player – whatever your perspective he’s certainly generating column inches right now. From our own PM David Cameron – who really should know better, to ex-hard manfootballer and now pundit Robbie Savage there are a kaleidoscope of opinions out there over what may yet be termed “Bite-Gate”. Some well argued some plain dumb and sadly some just plain sensationalist – searching for that last ounce of meedja coverage – stand up Phil McNulty of the BBC who spoils a pretty fair overview of the situation with some misguided hyperbole – “Sunday’s shocking incident“. Shocking? Er? Really? Stupid – definitely, mindless – absolutely, requiring punishment – clearly but shocking…. Not really, and that’s got nothing to do with the man and his history of offences that’s a comment on the beautiful game. 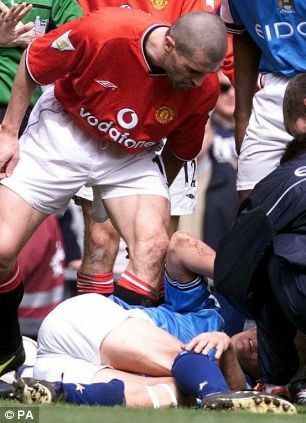 Shocking is knowing that Roy Keane went deliberately out of his way to hurt Alfe-Inge Haaland who still carries the memory. As Keane wrote in his book – Keane admitted in his book that he set out to injure Haaland that day: ‘I’d waited long enough. I f****** hit him hard. The ball was there (I think). Take that you c***. In terms of Cameron’s comments about setting an example to young people – isn’t Roy Keane now a football pundit on ITV? I haven’t heard Cameron say anything about that. Shocking is the performance of some of our top rated linesman and referees who appear blind to the pulling and tugging and obstruction going on in the penalty boxes in today’s matches. Shocking is the length of time it has taken to get goal line technology accepted in football when even tennis, for heavens sake, has had it for years! Shocking is the inconsistency of decisions and action taken by our own FA. By the way I’m a Liverpool supporter and that link’s from an Arsenal blog. Think of it had the referee seen the offence and sent Suarez off it would have been a 3 game ban period, the FA would not have been able to review it and jump in with their size 12’s. Perhaps most shocking of all is that the man at the head of world football, Sepp Blatter, is almost universally considered to be corrupt and running a corrupt organisation – awarding the World Cup to Qatar…..
That’s what I call shocking! So yes Suarez has been stupid and it’s frustrating that a man with all the talents that he possesses – possibly one of the top 5 most gifted footballers in world football today reacts in such unacceptable ways, but does he deserve the ferocious attacks from those living in glass houses (Cameron et al)? No he does not. He needs help – he doesn’t need the actions of Evra (biting a fake arm) as he celebrated winning the Premier League title, nor the way that the media considered that this was just a joke! Perhaps they view this as a joke too? Do I think that Suarez and Liverpool should appeal – on moral grounds I do – however I can’t see us getting much joy so sadly I think we “bite the bullet” and get it over with sooner rather than later – this season’s almost over – let’s not waste any more games next season. Finally I applaud Ivanovic for the way that he has conducted himself through this sorry mess – he’s been extremely professional – in a way that many others less closely involved have singularly failed to do. As I was writing this post it has been confirmed that Suarez will not appeal. I and many others hope that we can now move on but equally we demand that the FA is consistent in the way that it now deals with cases they bring under the Violent Conduct rules. Have referees gone mad? Certainly the one at West Ham seemed to have experienced the “red mist” and there must be something about the lighting at Anfield to make their vision cloudy. I appreciate that our talisman Suarez has rubbed them up the wrong way but even so to penalise the team by not penalising the opposition is a bit of bah humbug that’s been running since the opening day of the season. That said could you hang on till the West Ham home game – I’ve got tickets and I’d like to be there to enjoy the special atmosphere and humour of the Anfield faithful when that special day finally occurs. However if he books someone or sends them off he can review that later and change his mind. Equally if he didn’t see it and the very same video shows him what really happened the player can be penalised retrospectively. Is it time for the rules to be changed – I think so! Suarez, 25, was left with stud marks to his torso after Huth, 28, appeared to stamp on him during Sunday’s 0-0 draw between the two clubs at Anfield. The Germany international has previous with English football’s governing body after it handed him a retrospective three-match ban for punching West Ham’s Matthew Upson while playing for the Potters in 2009. New season – but where are the goals going to come from? Here’s where! 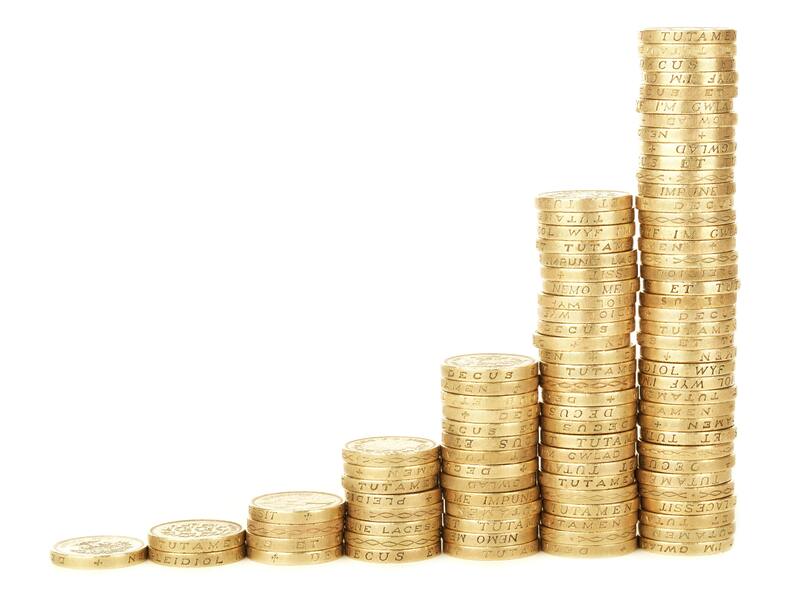 I know it hurts when you see other teams spending loadsamoney on new players and then no big names come in the transfer window but chill people, there is plenty of goal scoring talent out there. 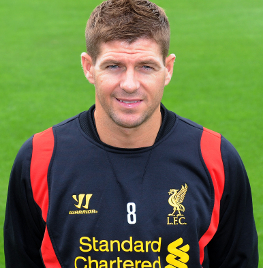 Gerrard – 150 goals so far for the club – he keeps on delivering – let’s look for another 10-15 goals this year. Suarez – 17 goals in 39 appearances during his first full season – he may miss lots of chances but with the more mobile support in the forward line he’ll make more goals too. 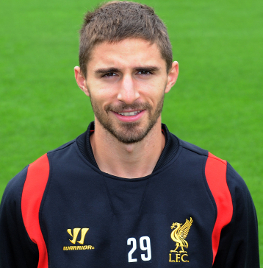 Borini – scored 9 goals in 20 league starts, including a brace in a 4-0 win over Inter Milan in 2011 – he needs to adapt to the pace of the league but he’s already getting into the positions to score – he’ll come good this season. Assaidy – Back in Holland, he would end the season with a tally of nine goals and 13 assists in 31 league games in 2011. 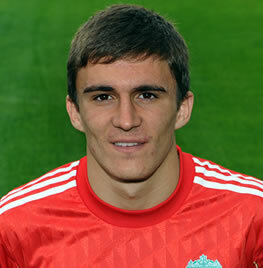 I can’t wait to see in a red shirt! 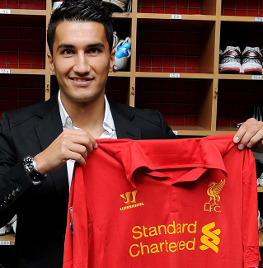 Sahin – struck six and assisted eight in 2011 – . Morgan – 18 yrs old – the young scouser fired 21 goals as the Reds finished as runners-up in the league in 2011 – expect to see him step up this season – almost had his first in the Hearts game!! 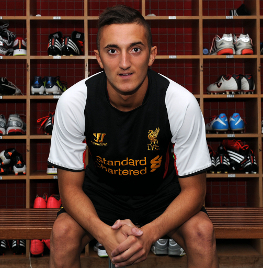 Yesil – 18 yrs old – has scored loads at age group international level – a real goal poacher! With the likes of Sterling, Shelvey, Johnson all chipping in there’s lots to be positive about and remember – Owen was only 17 when he burst onto the scene and the new group of youngsters has plenty of potential – they just need the opportunity. I can’t wait for Suso to be given the chance – we can’t afford to let his talent go to waste like Pacheco – c’mon BR! There’s more pace more mobility more skill and trickery in this season’s squad – once they come to terms with tiki taka and each other I see a much more enjoyable league season than last year! !